What's my Westridge home worth? 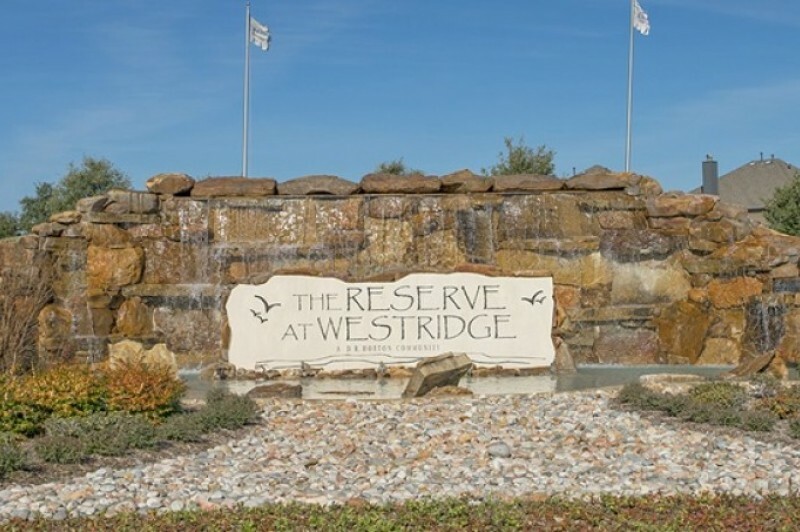 WestRidge is a Master Planned Community offering everything from condominiums to single family homes located in beautiful McKinney Texas just north of Eldorado Pkwy and south of Virginia Pkwy. It expands from Custer Road to Independence Pkwy. WestRidge is positioned around the WestRidge Golf Course and equipped with Hike and Bike trails around the community as well as a community park located within Fairways West at WestRidge. WestRidge McKinney has emerged as one of the best places in North Texas to live, work, and play. Several major companies (Toyota Motor Company, State Farm Insurance, Liberty Mutual Insurance, FedEx and Nebraska Furniture) are flocking to the North Texas area due to the prime real estate, excellent climate and thriving economy leaving hundreds of employees looking to purchase WestRidge Homes for Sale & Real Estate. WestRidge is made up of the following seven sub areas each offering their own style: Summit Fairways, Fairways North / Fairways West, Winsor Meadows, Eagles Nest / Martha’s Vineyard, The Heights at Westridge, The Greens at Westridge, The Villas of Westridge and the newest community, Valor Pointe at Westridge. 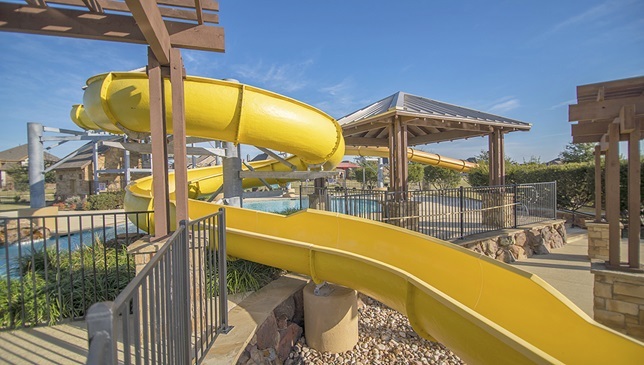 Looking for a community with a waterpark for summer fun, nearby golf courses, shopping, and sports entertainment? The newest WestRidge community, Valor Pointe At Westridge, has all of this and more! Valor Pointe features D.R. Horton’s renowned home designs, in DFW’s master planned community! Information about WestRidge Homes for Sale and WestRidge Real Estate can be found calling or stopping by our office located just East of WestRidge in Mckinney. Stop by or call Renee Mears Realtors for a list of currently available homes in WestRidge, Mckinney. When looking to buy a home in WestRidge or sell a home in WestRidge it is always best to use an experienced WestRidge, Mckinney Realtor. If you are interested in WestRidge Homes for Sale & Real Estate call Renee Mears at 972-489-0828. Nice 3 bedroom plus study in Master Planned community located next to Green Belt. The split bedroom open floor plan flows well for entertaining friends and family. The home features fresh paint, stainless appliances, hardwood floors in the living area, study - formal dining room and all bedrooms plus ample size covered patio. Awesome Opportunity for Golf Course Living on Westridge Golf Course's 13th Fariway! Beautiful 4 bed, 2 bath home offers wood floors throughout main areas, spacious formal living and dining! Open kitchen overlooks the breakfast and family room has black appliances, gas cooktop, tile backsplash and breakfast bar. Enjoy beautiful golf course views from the huge family room and private master bedroom. Master bath with dual sinks, separate shower and garden tub. 3 additional beds are tucked away with a shared bath with dual sinks. You will enjoy the low maintenance lifestyle of this highly desired gated community in Frisco ISD. Immaculate home with great floor plan featuring 3 bedrooms and 3 full baths, two of the beds and baths downstairs and the private second floor has bedroom, full bath and tech center. Open floor plan with high ceilings, large living open to kitchen with granite counters and breakfast bar. Large master suite with sitting area, jetted tub, separate shower, double sinks and large walk in closet. The community features a gated entrance, pool, playground,fitness center, blanket insurance, front yard maintenance, clubhouse with access to fun events and perimeter fencing. This home is immaculate and adorable! Nestled by the beautiful WestRidge xA0;Golf Course, the Greens of WestRidge is located xA0;in West McKinney, zoned for the highly acclaimed Frisco schools. With stunning drive up appeal, this home leads to an equally impressive interior. Vaulted ceilings and wood look tile floors greet you at the xA0;entryway and extend into most areas downstairs. xA0; The living room boasts an antique stained cast stone gas fireplace and a wall of windows. xA0; A tranquil master retreat enjoys backyard views and a bath with dual sinks, garden tub, xA0;and a frameless shower. Up is two generously sized bedrooms, full bath, and a game room xA0;with balcony access to enjoy outdoor views. Enjoy the serene golf course views while strolling the neighborhood. This north facing, one owner home is sure to please with many recent updates. Vaulted ceilings, lots of natural light, and an open concept make this home perfect for entertaining or a growing family. Master retreat features high ceilings, lots of natural light, an ensuite master bath, and an oversized walk in closet. Flex room downstairs can be 4th bedroom, study, media, or extra family room. Stainless appliances and ample storage in the kitchen. Fridge can stay. Engineered hardwood flooring and carpet throughout replaced 2018. Interior repainted 2018. Roof, gutters, hot water heater replaced in 2017. Spacious well maintained home in desirable neighborhood. Plenty of Natural Light form the wall of windows. Kitchen is Open to Living Area, lots of cabinet space, SS appliances, including the refrigerator. Large master downstairs, and an additional second master up. All bedrooms are over sized with walk in closets. Bonus room upstairs makes a great office or media room. Roof Oct 2017, Water Heater 2015, AC Sep 2017,Stainless Steel Appliances 2015, Ceramic Tile Floor in Downstairs area 2016, Recent Fresh Paint in all Upstairs Area, Fireplace Mantel & Tile 2016, Master Bath 2017. Front Sod 2018. Lots of extras. Washer and Dryer convey. Buyer and buyer agent responsible for confirming all information. WOW! TWO MASTER BEDROOMS! Under $118 per square foot! Great price for fabulous FRISCO ISD! Great open layout with two masters- one up&one down! So many extras including granite counters,great kitchen w coffee bar & great storage,oversized showers in both masters,2 inch blinds,computer area off of the gameroom,built-in shelves &more! You will love the great drive up appeal of this brick home with stone accents & mature trees & lovely landscaped stone bordered beds.The formal dining room currently used as a living area & offers flexibility to suit your needs. Check out the room sizes & great storage throughout! New roof 2017! Friendly neighborhood with community pool & easy access to highways! Built in 2008, this McKinney one-story offers an office, two-car garage, stainless steel appliances, and two-car garage. 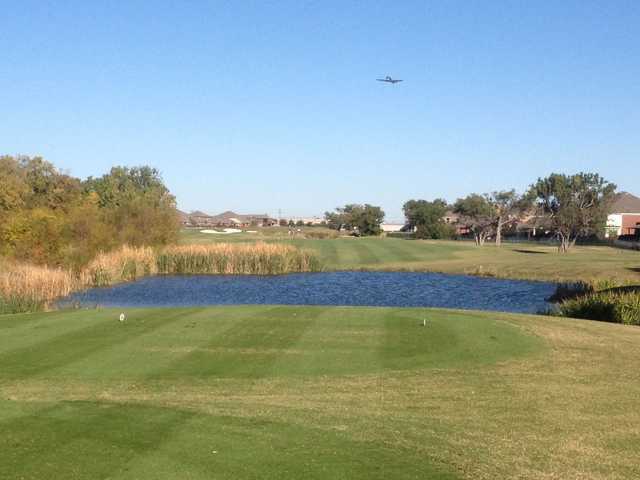 A park, pond, community pool, and walking path are part of the Fairways NW at Westridge HOA. Home comes with a 30-day buyback guarantee. Terms and conditions apply. Great four bedroom, three bath home near the golf course and driving range in West McKinney with Frisco Schools. Ready for a quick close. Many features and upgrades with a large kitchen, granite counter tops, two story family xD; xA;room with WBFP, Master and Study downstairs, sprinkler system, security system, game rooms and three xD; xA;bedrooms upstairs. Wonderful location with shopping, schools, community park, and golf course all nearby.